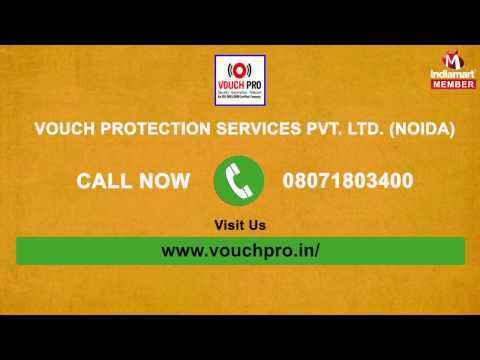 Founded in the year 2009, at Noida (Uttar Pradesh, India), we %u201CVouch Protection Services Pvt. Ltd.%u201D, is a distinctive wholesalers, suppliers, distributors, traders and retailers of high quality Security & Automation Solutions. Our products range are CCTV System, Fire Alarm System and Access Control System. Our offered range of products is used in offices, homes, mall and other public places for offering 24 by 7 hours surveillance. We procure these products from some prominent vendors of the market. The products we offer are highly appreciated in the market for easy installation, optimum performance, excellent image quality, longer service life and compactness. Moreover, our clients can avail service of these products from us in committed time frame at the most competitive rates. Apart from this, we are also engaged in providing Security Guard Service. We are offering the products of Honeywell, Capture, Cease Fire, Agni, Samsung, Godrej, CP-plus, Dahua, AV Tech, APC, Emerson, Toshiba, D-Link, Cisco, Finolex e.t.c. who are our technology partners.